Students nowadays look for different career options other than the mainstream ones. For the students who are looking for something like that, Hotel Management studies are a good option. The growing hotel industry has opened many new options in the field of Hotel Management. Hotel Management courses offered in different educational institutions across India train students to become successful Hotel Managers or Hoteliers or Lodging Managers. Students learn to manage best any lodging related establishment like hotels, motels, or resorts. They learn to manage their subordinates and the hotel staff with ease and maintain the sanitary standards of hotel facilities and ensure guest satisfaction and customer service at the same time. Students are finely groomed to become the head executives of hotels and taught the art of carrying out their duties and responsibilities effectively irrespective of the size of the hotels. Hotel management graduates have scope in areas such as catering, conference and event management, entertainment and leisure sector and the facilities and food service management, apart from management jobs at hotels. For the undergraduate courses, a candidate must have passed 10+2 with English as one of the compulsory subjects. For the Post Graduate courses, a candidate must hold a bachelor’s degree in Hotel Management or any other discipline along with a good score in entrance examination. Pune, formerly known as Poona, is well known for being the centre of higher education and is referred to as the educational capital of India. It is a good place to get your hotel management degree from. All you need is to be enrolled in any of the good hotel management colleges in Pune. Bharati Vidyapeeth Deemed University : Established in 1964 and located away from the city in Sadashiv Peth surrounded by mountains, this university is one of the oldest of its kind and one of the top hotel management colleges in Pune. It has a cluster of 12 campuses across the country and runs 78 schools and 60 institutions of higher education, including those of professional training. 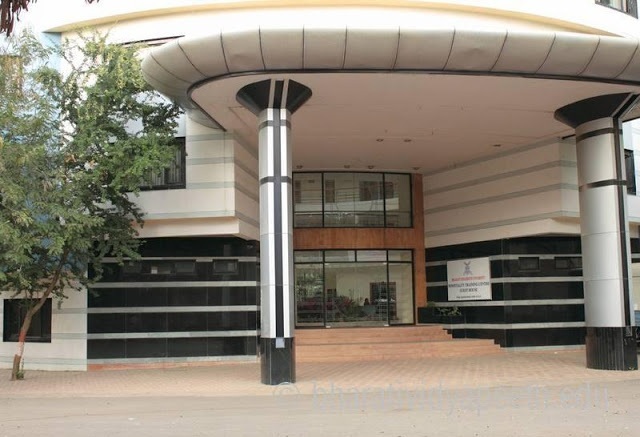 MSIHMCT (Maharashtra State Institute of Hotel Management) : Established in 2003 and located in Shivaji Nagar, this college gives the best placement among the hotel management colleges in Pune. It has been successful in placing their students not only across the country, but also in star hotels across the world. Arihant Group of Institutes : Established in 2005 and located in Camp,Pune, this is a well-equipped institute with the latest technologies which makes it one of the top hotel management colleges in Pune. Ajeenkya DY Patil University : Established in 2015 and located in Lohegaon, it is the newest colleges to become one of the top hotel management colleges in Pune. International Institute of Hotel Management : Established in 1994 and located in Viman Nagar, this college is a part of a huge group of institutions, which has campuses in eight cities in India. Now that you know which hotel management colleges in Pune are the best, you need to be the best in the entrance examinations because these colleges have cut-offs as high as their standards.